Cut sequences at positions with few spanning molecules. Written by Shaun Jackman, Lauren Coombe, and Justin Chu. Tigmint identifies and corrects misassemblies using linked reads from 10x Genomics Chromium. 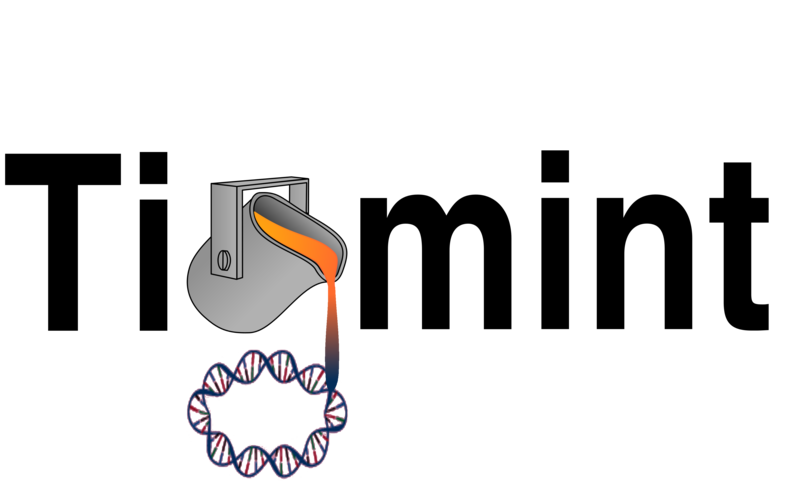 The reads are first aligned to the assembly, and the extents of the large DNA molecules are inferred from the alignments of the reads. The physical coverage of the large molecules is more consistent and less prone to coverage dropouts than that of the short read sequencing data. The sequences are cut at positions that have insufficient spanning molecules. Tigmint outputs a BED file of these cut points, and a FASTA file of the cut sequences. Each window of a specified fixed size is checked for a minimum number of spanning molecules. Sequences are cut at those positions where a window with sufficient coverage is followed by some number of windows with insufficient coverage is then followed again by a window with sufficient coverage. Download and extract the source code. Compiling is not needed. Tigmint uses Bedtools, BWA and Samtools. These dependencies may be installed using Homebrew on macOS or Linuxbrew on Linux. bwa mem -C is used to copy the BX tag from the FASTQ header to the SAM tags. samtools sort -tBX is used to sort first by barcode and then position. tigmint-make is a Makefile script, and so any make options may also be used with tigmint-make, such as -n (--dry-run). The file extension of the assembly must be .fa and the reads .fq.gz, and the extension is not included in the parameters draft and reads. These specific file name requirements result from implementing the pipeline in GNU Make. metrics: Run, Tigmint, ARCS, and calculate assembly metrics using abyss-fac and abyss-samtobreak, and produce TSV files. If your barcoded reads are in multiple FASTQ files, the initial alignments of the barcoded reads to the draft assembly can be done in parallel and merged prior to running Tigmint. When aligning with BWA-MEM, use the -C option to include the barcode in the BX tag of the alignments. Sort by BX tag using samtools sort -tBX. Merge multiple BAM files using samtools merge -tBX. After first looking for existing issue at https://github.com/bcgsc/tigmint/issues, please report a new issue at https://github.com/bcgsc/tigmint/issues/new. Please report the names of your input files, the exact command line that you are using, and the entire output of Tigmint.